They will zooom in front of your nose, chase you around the house and ultimately get lost behind furniture. 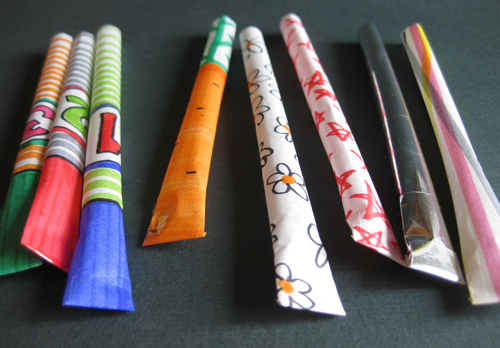 To make them you will need paper, glue, scotch tape and a plastic straw. 2. Put glue on one of the longer edges. Then role the paper around a pencil starting from the opposite side. 3. Close the top of the rocket with scotch tape. 4. Insert a plastic straw and you are ready to go. It's so easy and funny! Thank you for sharing! I've pinned this to my Pinterest board too - love your simple and wonderfUN ideas. my granddaughter is going to love this. the next time she comes over i know how i am going to entertain her. O seu blogue é maravilhoso abrigado por partilhar as suas ideias connosco. My grandsons will love this! Thanks for sharing it. Oh how fun! I think my scouts would LOVE this! what size paper do you recommend? Perhaps 5 by 15 cm. I also recomend using lite "pattern paper"
Hope you have fun with these. Let me know how it goes! Just tried it, and it is wonderful ! I used this as a VBS craft this year. The kids had a great time with them- Thanks for sharing the idea! So great for a rainy day! Thank you! Thanks so much for this fun idea...my boys loved it! I blogged about it and linked to you. Have a fabulous day :). Funny. 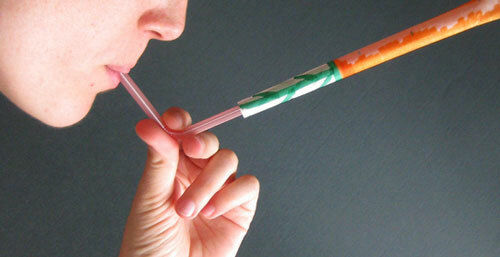 Our family has done this concept for years with straws when we get fast food. We tear one end and then shoot another member of the family with the paper wrapper. We are doing this this week! Such a good idea and pretty. Did anyone try this with regular printer paper or did you all use the lite pattern paper as another user suggested? As a casual relief teacher, I'm always on the lookout for fun activities to do with all ages and this really fits the bill. Thank you so much for sharing. i'm doing this! Thanks for the fun idea!